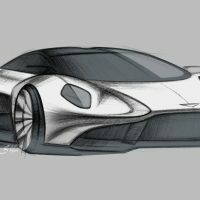 Vanquish Vision Concept: Aston Martin Goes Mid-Engine! 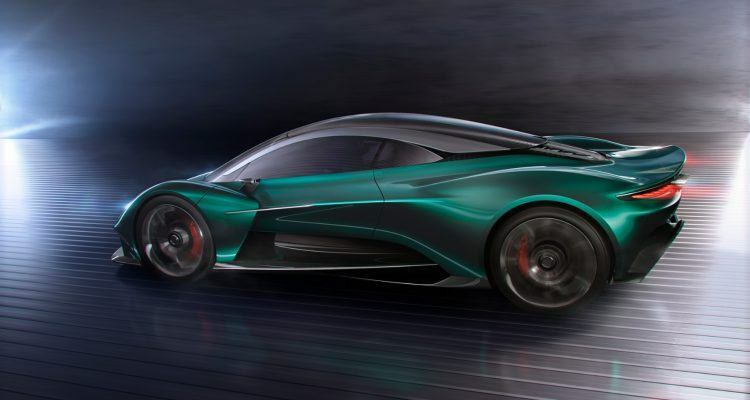 Vanquish Vision Concept: Aston Martin Goes Mid-Engine! 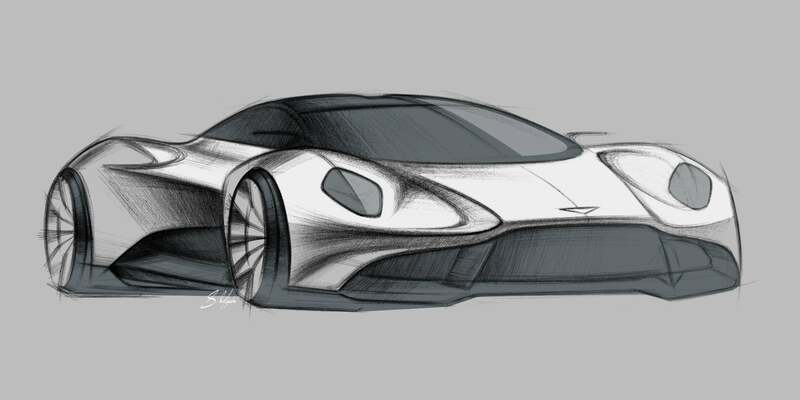 Vanquish Vision Concept: Aston Martin Goes Mid-Engine! 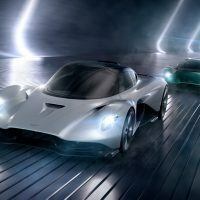 Vanquish Vision Concept is a preview of Aston Martin’s first series production mid-engine supercar. 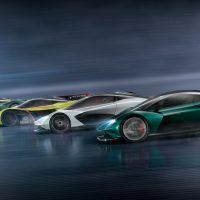 The decision takes Aston Martin into a mid-engine sector previously defined by other key competitors. 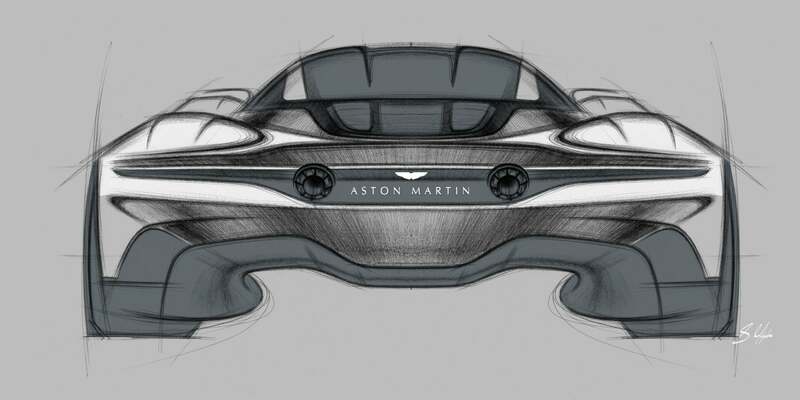 Aston Martin has been cranking out the concept cars, er, renderings lately. In this instance, we’re talking about the Vanquish Vision Concept. In a lot of ways, it’s both remarkable and unremarkable. 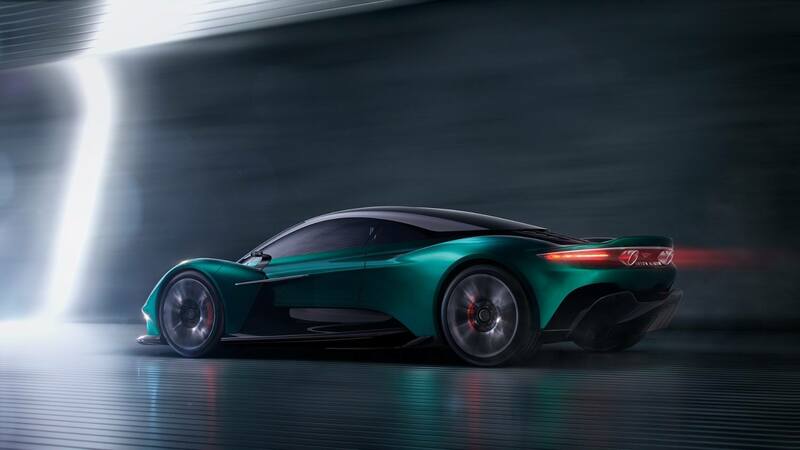 Low, sleek, dripping with performance and desirability; it’s everything a concept show car is expected to be. But then you think about it and realize the engine sits in the middle. 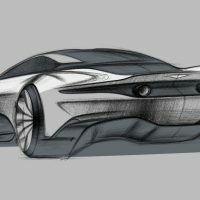 A mid-engine Aston Martin? 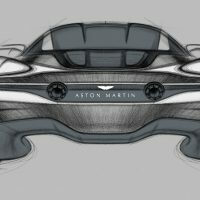 Aston doesn’t make mid-engine cars. 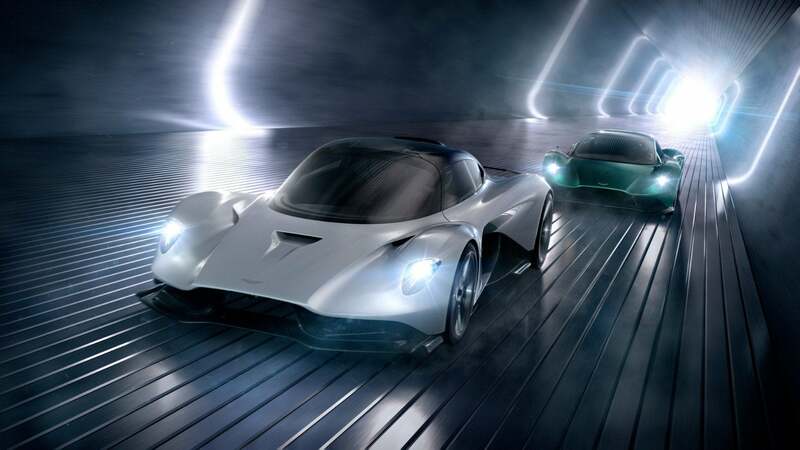 The Vanquish Vision Concept will be one of four mid-engine cars from Aston Martin: The Valkyrie, Valkyrie AMR Pro, AM-RB 003, and the Vanquish Vision (the letter V is flying around Gaydon). 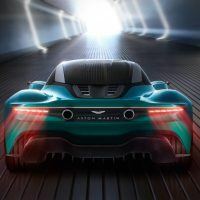 Until now, Aston Martins have been very traditional, very British performance cars, with the engine in the front, just the way the Queen and country prefer it. 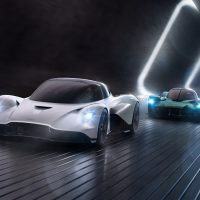 Performance-wise, however, having the lump in the middle is better, so Aston Martin is finally jumping on that old bandwagon and will now start making mid-engine cars. 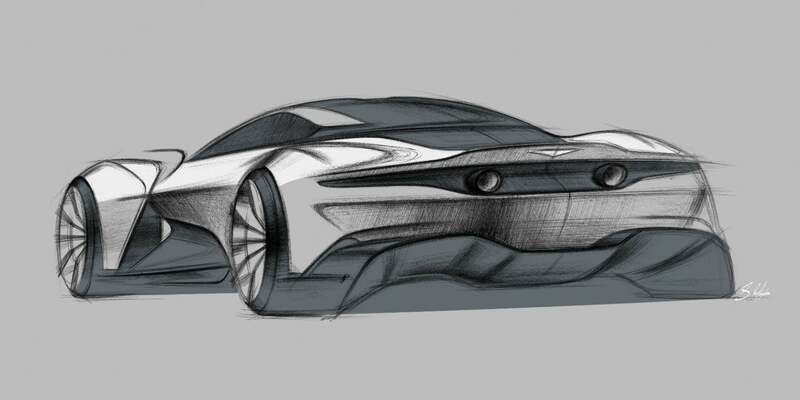 Vanquish Vision Concept. Photo: Aston Martin The Americas. 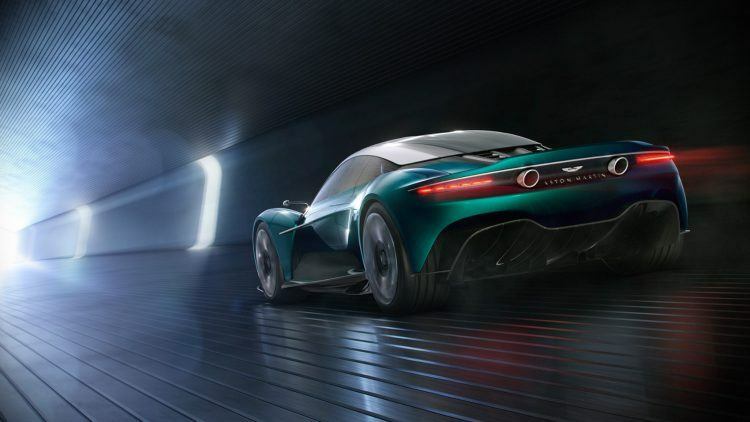 You can think of the Vanquish Vision Concept as sort of a baby Valkyrie, in much the same way a Ferrari 488 is a baby LaFerrari. 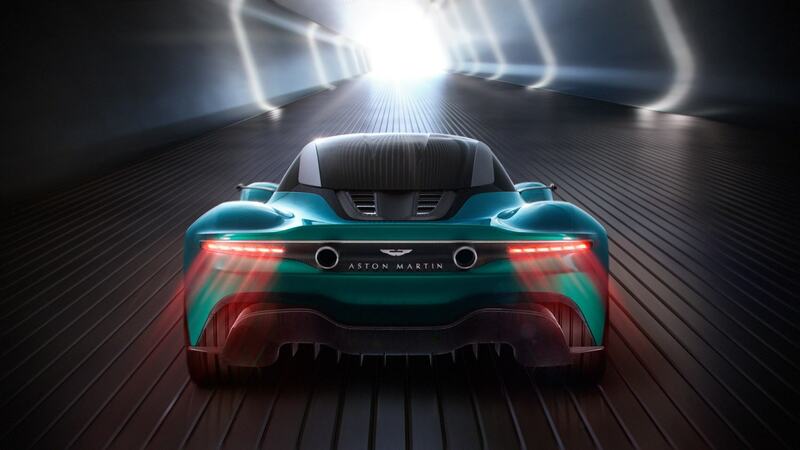 The latest Vanquish is not as full-blown crazy as the Valkyrie. 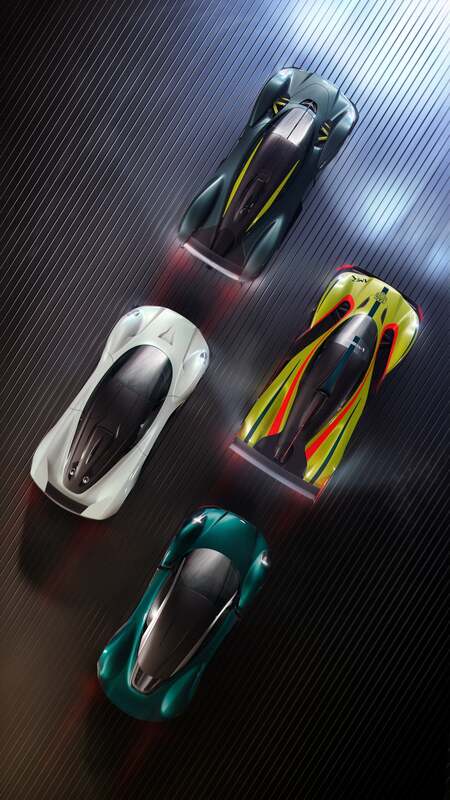 For example, the Vanquish gets a new V6 plant sitting amidships versus the V12 hybrid monster found in the Valkyrie. 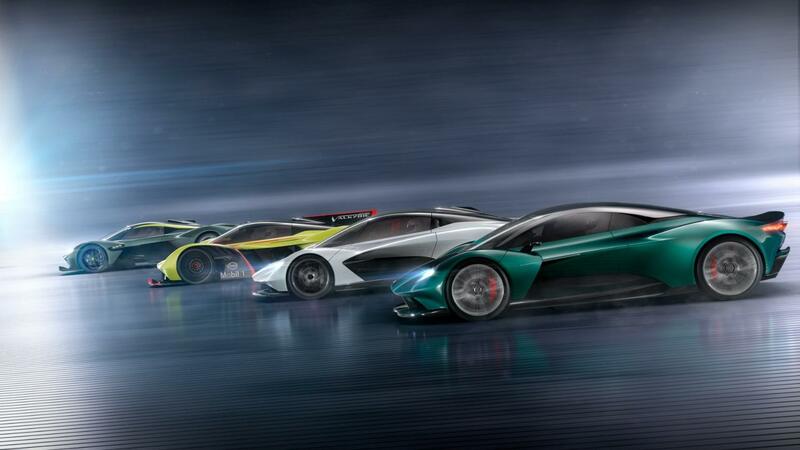 (Although that V6 is a non-hybrid, non-turbo version of the same engine found in the AM-RB 003). 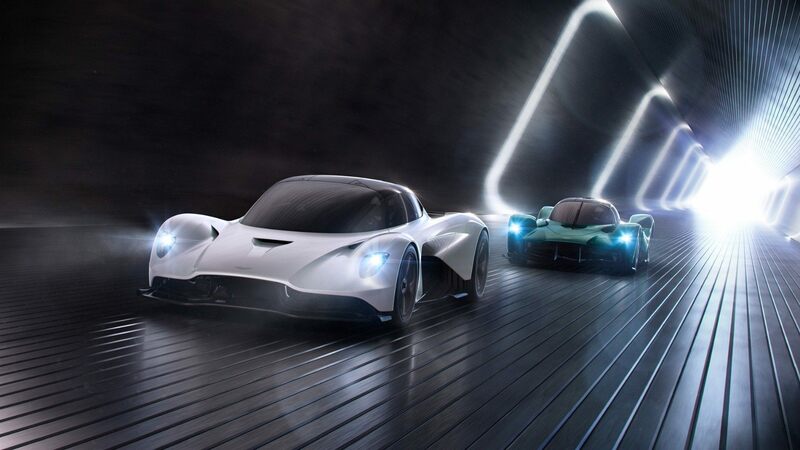 So you can see the range of mid-engine Astons as being a spectrum of choice, from the vanilla of the “plain” V6 in the Vanquish, through the spiced up turbo-hybrid of the AM-RB 003, to the full zoot, straitjacket bent of the Valkyrie. 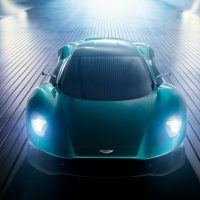 Sounds like Aston Martin has all the bases covered. 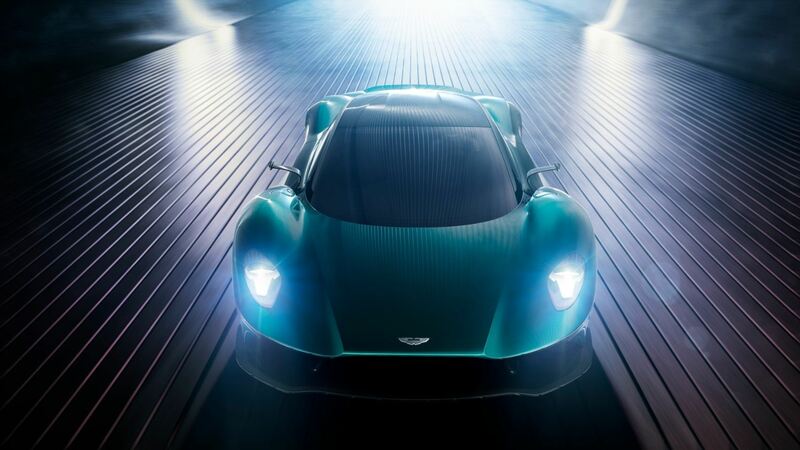 Photo: Aston Martin The Americas. Technical info is rather lacking at this point, sadly. 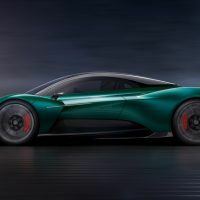 The only gearhead stuff Aston Martin mentions is how the chassis of the Vanquish Vision Concept is a custom-made, bonded aluminum affair, developed by mid-engine specialist and Aston Martin Chief Technical Officer, Max Szwaj. 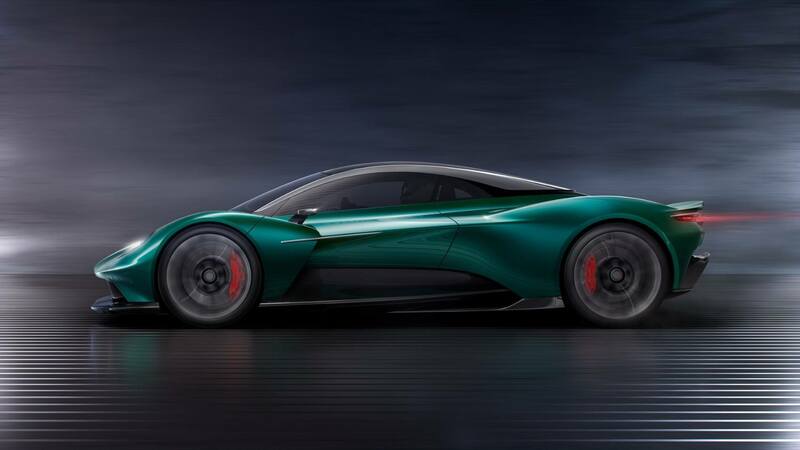 Aston Martin employed a more state-of-the-art, all-carbon fiber construction for both the Valkyrie and AM-RB 003, but went with a more established “glued and screwed” bonded aluminum approach for the Vanquish Vision Concept. 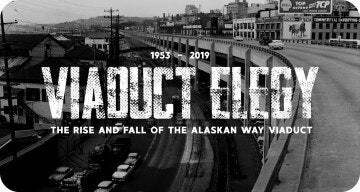 No outright reason is given but, to my experience, it comes down to cost. Carbon fiber is expensive to work with and very expensive to repair (assuming you can repair it). 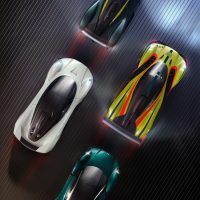 Meaning that insurance costs for a car with a chassis made of metal will be lower. 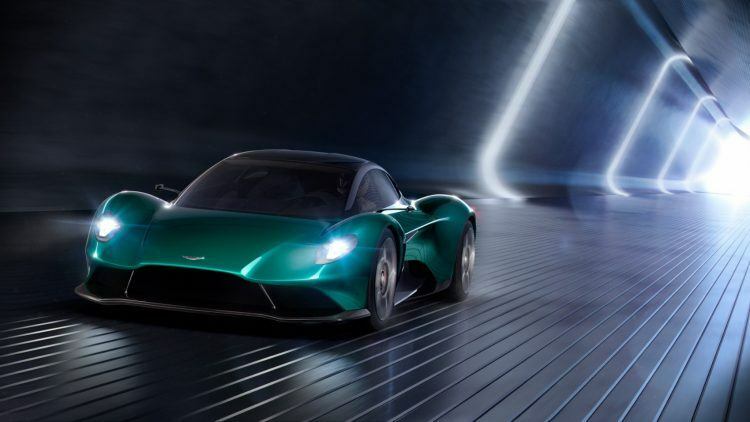 Aston Martin has worked with aluminum for chassis bits and sub-structures in the recent past. For example, the DBS Superleggera utilizes the latest generation of the lightweight bonded aluminum structures first seen on Aston’s DB11. Much like Lotus’ work in the same arena, it shows how a semi-high tech, not exactly bleeding edge approach is still a good path to follow. 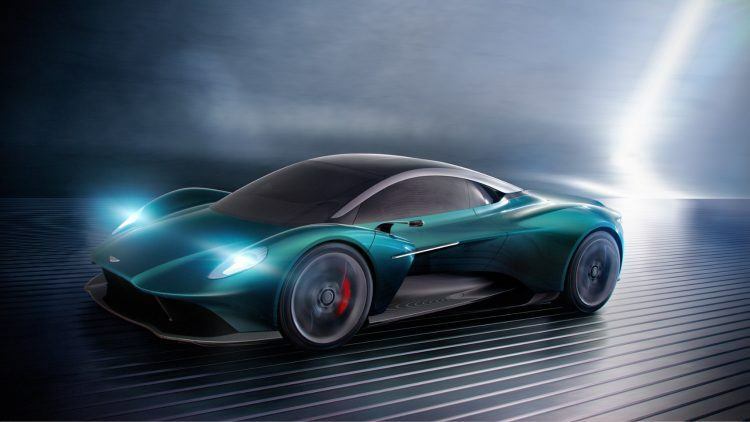 The Aston Martin Vanquish Vision Concept is scheduled for production in 2022. 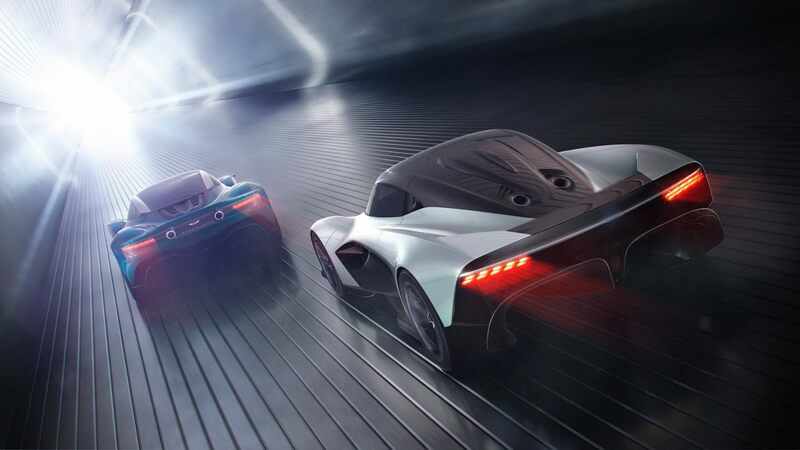 Although, you know what they say about schedules, especially when it comes to concept cars. No word yet on price. 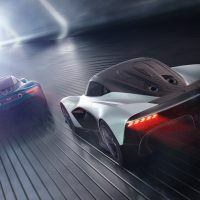 It will likely be less than its other mid-engine stablemates but still more than your house. 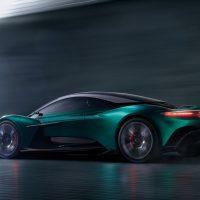 No Comments on "Vanquish Vision Concept: Aston Martin Goes Mid-Engine!"